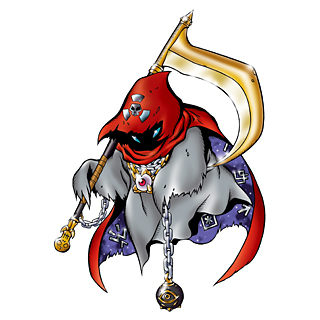 A Reaper-like Digimon holding a gigantic sickle and chain. 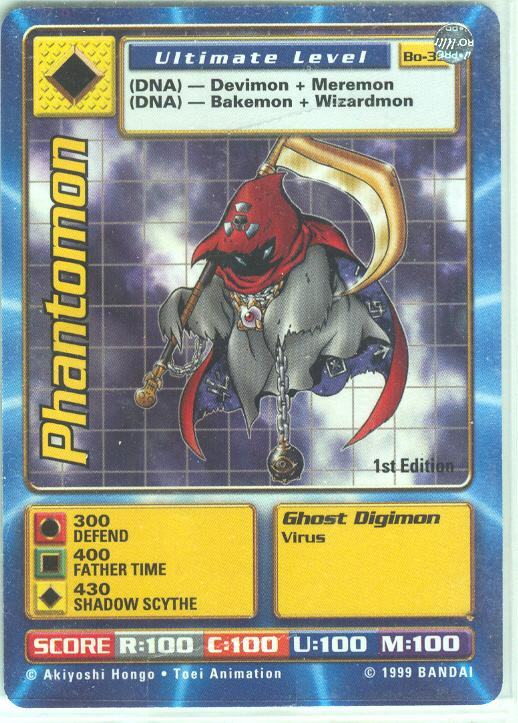 It is a higher class of Ghost Digimon compared to Bakemon, so when a person is possessed by Fantomon they are in their last moments, and it comes upon them when they die completely. There is a crystal shaped like an eyeball hanging from its neck, and similar to Mammon's crest, it is able to foresee everything with its power of clairvoyance, in order to perceive those that are close to death. It is said that the interior of the cloth which conceals its body leads to a separate dimension from the Digital World, and its Special Move is cutting even the opponent's soul to pieces with its gigantic sickle and chain (Soul Chopper). Those who suffer this technique have their souls completely annihilated. n., From Fantom 「ファントム Fantomu」, an alternative spelling phantom. | Phanto n., Short for Phantom. 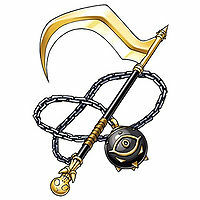 ソウルチョッパー Sōru Choppā Shadow Scythe/Soul Chopper Swings at the opponent with its scythe. Father Time/Dark Sentence Summons a magic circle of dark power that releases a skull, which itself shoots a dark fog at the enemy. 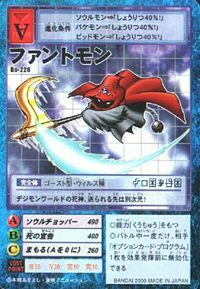 ディアボリックスター Diaborikku Sutā Magical Game/Diabolic Star Attacks with the mace at the end of its chain. 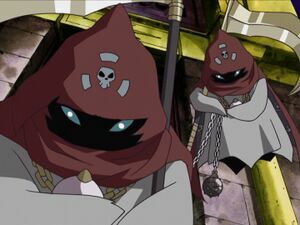 Fantomon as seen in "Digimon Adventure". Fantomon was one of Vamdemon's most trusted minions. He first appears in "Shining Wings! Garudamon" piloting Vamdemon's chariot through the sky pulled by Devidramon. He travels to Earth along with Vamdemon's forces to hunt for the Eighth Chosen Child. He makes his first major appearance in "The Fairy of Odaiba! Lilimon Blossoms" and "Break through the Barrier! Zudomon Spark!" when he appeared in a subway when Jou was present. He and a swarms of Bakemon begin abducting the populous of Odaiba and detaining them in a convention center. Taichi and his Greymon try to free the captives but Fantomon forces them to retreat. 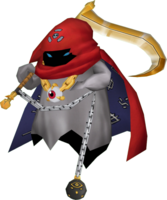 He then destroyed the stereo that Sora was using to play the chants that were weakening the Bakemon. He ordered two Bakemon to capture Sora but was surprised when the two Bakemon turned out to be Piyomon and Toshiko in disguise. Piyomon evolved into Birdramon and rushed Fantomon and his Bakemon who distracted Fantomon long enough for Sora and Birdramon to escape, but Toshiko was recaptured. Fantomon proceeded to raid apartments captured everyone he found to detain at the convention center, eventually coming apun Koushirou's apartment, but a program sent to Koushirou from Gennai cloaked him and his family from view. Later, he encounters Yamato, Sora, and Hikari. He summons Tuskmon and Snimon. They defeat Yamato's Garurumon and Sora's Garudamon. Meanwhile Fantomon chocks Yamato with a chain. Sora tries to fend him off with a stick but Fantomon effortlessly slices it in half and knocks her away. Seeing all of this Hikari announces that she's the eighth chosen child and surrenders. Fantomon recalls Snimon and Tuskmon and takes her to Vamdemon who, with the aid of an unwilling Tailmon, identifies her. When the other Chosen Children mount a rescue in "Perfects' United Attack! Sparkling Angewomon" Fantomon initially goes to fight Greymon, but falls back when he super evolves into Metal Greymon. Fantomon then gets cought up in a blast from Angemon's Heaven's Knuckle attack aimed at Vamdemon and is killed. 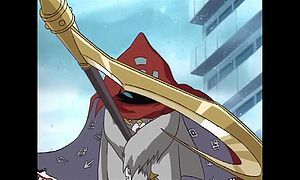 A Fantomon is among several Digimon that appeared in Japan disrupting Yamato's concert during "Holy Night, All Digimon Gather Together!". Inoue Miyako's Holsmon stunned him with his Udjat Gaze attack. Nefertimon and Pegasmon then used Sanctuary Bind to hold Fantomon and the others allowing Miyako to return them to the Digital World. 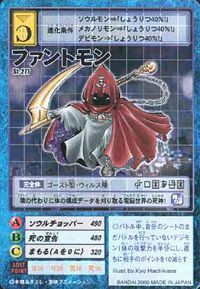 A Fantomon was among the shadowed Digimon who wanted Makino Ruki to be its Tamer. Some Fantomon were seen at Akiba Market and the Trailmon Race. The Legendary Chosen were ambushed by two Fantomon outside of Cherubimon's castle. They captured all of the human spirits but Löwemon (Bokomon, Neemon and Patamon were hiding behind a pillar) who was able to use his dark powers to sense their auras just before they appeared near him and caused to collide shattering the orbs they kept the others, thus in freeing them. A Fantomon is one of the Digimon hunted by Tobari Ren. Can evolve from Bakemon (0+ DP) or Soulmon (0+ DP). Can evolve to Piemon (0+ DP). Fantomon belongs to the Dark card group and has 1100HP, circle attack 600, triangle attack 400 and eat-up HP cross attack 300. Can evolve from Wizarmon. Evolves to Dynasmon. Fantomon can be summoned with a power-up item to slaughter your opponents (and you too). Can evolve from Bakemon. Evolves to Apocalymon or Deathmon. Fantomon is an unobtainable boss Digimon. Fantomon is a Jogress Digimon. 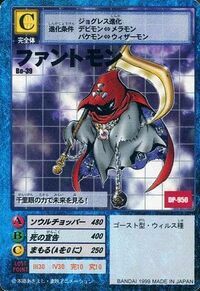 Obtained by Jogressing Meramon, Wizarmon, Devimon or Bakemon with a compatible Digimon. Can Jogress to Piemon with a compatible Digimon. 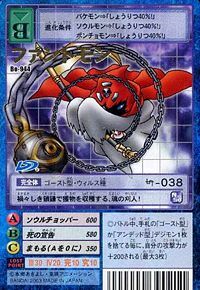 Obtained by Jogressing Meramon, Wizarmon, Devimon or Dokugumon with a compatible Digimon. 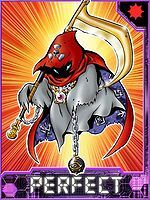 Can Jogress to Demon with a compatible Digimon. 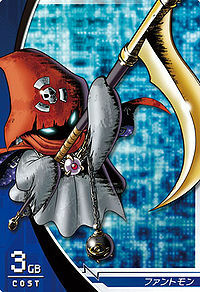 The grim reaper of the Digital World, it harvests configuration data in place of souls! It can see into the future using the power of clairvoyance! 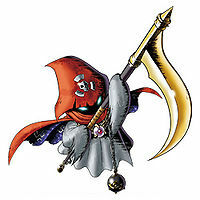 As the grim reaper of the Digital World, it sends its prey off into another dimension! This huntsman of souls harvests its prey with a sinister chain-sickle! 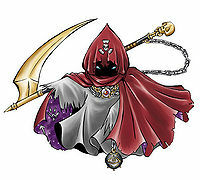 A higher-class Ghost Digimon that takes the appearance of a Grim Reaper. It searches for its prey using the crystal ball hanging from its neck, which possesses the power of clairvoyance. 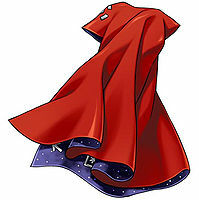 It is said that the interior of the cloth which conceals its body leads to a separate dimension.